Turkey’s National Security Council criticizes Trump's threat to impose sanctions on the country. Turkey’s National Security Council on Monday criticized recent threats by U.S. President Donald Trump to impose sanctions on the country. In a statement quoted by Reuters, the Council said the United States’ use of threatening language against Turkey “is unacceptable and disrespectful” given the ties between the two allies. Relations between Turkey and the United States have spiralled into a full-blown crisis over the trial of American pastor Andrew Brunson, who was in custody for 21 months in a Turkish prison until he was transferred to house arrest last week. In a tweet on Thursday, Trump threatened to impose economic sanctions on Turkey over its refusal to release American pastor Andrew Brunson who has been detained in the country for more than year. “The United States will impose large sanctions on Turkey for their long time detainment of Pastor Andrew Brunson, a great Christian, family man and wonderful human being. He is suffering greatly. This innocent man of faith should be released immediately!” he tweeted. Hours after Trump’s tweet, Turkey's foreign minister Mevlut Cavusoglu fired back at Trump in a tweet of his own. “No one dictates [to] Turkey. We will never tolerate threats from anybody. Rule of law is for everyone; no exception,” he stated. 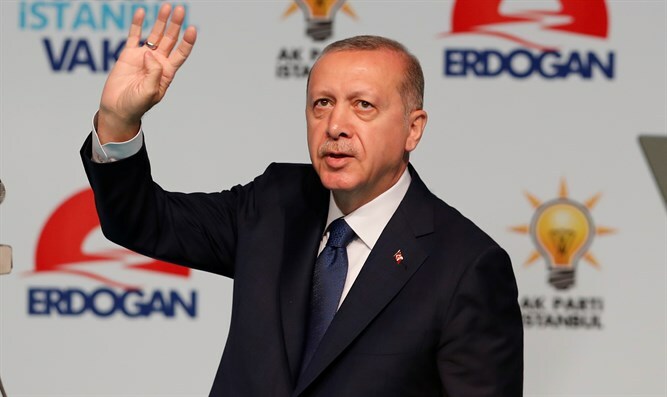 On Saturday, Turkish President Recep Tayyip Erdogan responded to Trump and clarified that Turkey will stand its ground. The United States would be losing a strong and sincere partner if it does not change this attitude, Erdogan added. Brunson was accused of working with Fethullah Gulen, an Islamic cleric who Erdogan claims orchestrated a failed coup in 2016. Last December, the U.S. and Turkey resumed full visa services for the other country after a months-long dispute. The dispute began in October, when the U.S. mission in Turkey reduced visa services in response to a U.S. mission employee being detained in Turkey.